Toronto Police have arrested 66-year-old man, who they say is connected multiple cases of missing men from Toronto's Church and Wellesley Village area. 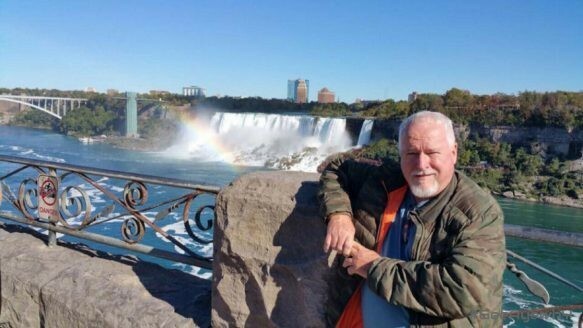 Toronto police have charged a 66-year-old man with murdering two gay men and say they believe he is responsible for several other deaths. The arrest comes a month after Chief Mark Saunders insisted that there was no evidence to suggest a serial killer was behind disappearances in the Village, a downtown neighbourhood known as a hub to the LGBTQ community. Homicide Detective-Sgt. Hank Idsinga said Bruce McArthur, who works as a self-employed landscape designer, was arrested at 10:25 a.m. Thursday morning connection with disappearances in the Village. Although no bodies have been recovered, McArthur was charged with the first-degree murder of Andrew Kinsman, 49 and Selim Esen, 42. Kinsman was last seen on June 26, less than two kilometres away from the Village. Two months earlier, Esen was last seen one block north of the neighbourhood. “We believe he is responsible for the deaths of Mr. Esen and Mr. Kinsman, and we believe he is responsible for the deaths of other men who have yet to be identified,” Idsinga said. What they did reveal was that McArthur runs a landscape design company named Artistic Design. McArthur, police said, lived in Toronto’s Thorncliffe Park neighbourhood about eight kilometres north-east of the Village. He owned four properties in Toronto, police said, and one other in Madoc, Ont, a rural town with a population of just over 2,000 people. Police are searching the properties. McArthur lives in a high-rise building in Thorncliffe Park, according to two neighbours. Chantal Smith said she’d often small-talk with him on the way up to her apartment on the elevator. He loved cooking, she said, and would often be seen carrying several trays of freshly-baked muffins. Another neighbour described McArthur as being “super creepy” every time he rode the elevator with him because he would often stare at him for too long without looking away. The neighbour said McArthur had a boyfriend who was always with him. According to his Facebook page, McArthur appeared to visit the Village for the Pride Parade. McArthur is often pictured with his family, including photos from 2015 and 2016 when it appears that he worked as a Santa Claus at at least one local mall. Idsinga said police had been investigating McArthur for “several months” but could not make a “definitive link” to the disappearances until Wednesday. He said police had a “pretty good idea” of how the men died but would not elaborate. Idsinga said both Kinsman and Esen had a relationship with McArthur. Both Kinsman and Esen, along with McArthur, were active on dating apps, but police wouldn’t confirm that’s how they met. Kinsman appeared to be in a “sexual” relationship with McArthur for “some time,” police said. McArthur’s relationship with Esen was less clear. “We don’t know what his exact relationship with Mr. Esen was leading up to the (alleged) murder, whether he had just met him that day or whether he had known him for some time, we just don’t know that yet,” Idsinga said. The arrest was made as a result of the Project Prism investigation which was formed to look into the disappearances of Kinsman and Esen in August. In December, police said Project Prism would be working closely with Project Houston — another task force investigating the disappearances of three gay men who went missing from the Village community between 2010 and 2012. It has been more than five years since Skandaraj “Skanda” Navaratnam, 40, Abdulbasir “Basir” Faizi, 44, and Majeed “Hamid” Kayhan, 59, went missing. On Facebook, McArthur appears to be friends with Navaratnam. Police originally said the cases were not connected but later on admitted that their ethnicity and the fact that all three frequented the Village led them to think otherwise. 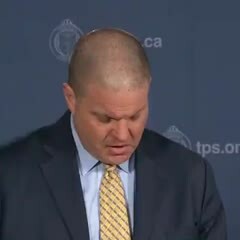 Police did not say whether McArthur was connected to these cases. Aside from Kinsman and Esen, Alloura Wells, a transgender woman, was last seen alive in the Village in July. Police found her body in a nearby ravine but only identified her when her family reported her missing in November. When the missing persons cases began to pile up in the Village — 12 people were reported missing in nine months — police were lambasted for not doing enough to properly investigate each case. Wells’ family in particular accused police of not taking her disappearance seriously because she was a homeless transgender woman. On Thursday, Saunders defended his initial stance when he insisted in December that a serial killer was not believed to be operating in the area. “In policing, what we do is follow the evidence,” Saunders said. “What I said was accurate at the time. Helen Kennedy, executive director of the LGBTQ advocacy group Egale, said news of the arrest brought relief after months of fear and apprehension. “The community, especially in the village, were very, very nervous, and rightly so. Two gay men went missing and the circumstances around their disappearances were very suspect and so people were speculating about what had happened to these two guys,” she said. “I think that we had every right to be afraid and nervous, but at the same time, the police need time to do their work,” she said.